Staff Sgt. 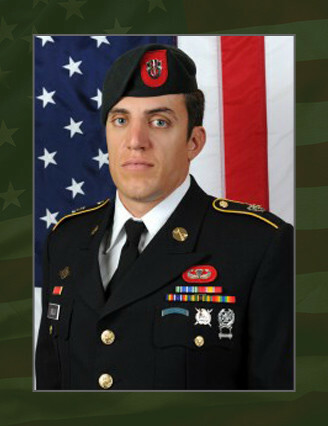 Alex Anthony Viola, 29, of Keller, Texas, died Nov. 17, 2013, of wounds received from an improvised explosive device in Kandahar Province, Afghanistan. He was assigned to Company B, 3rd Battalion, 7th Special Forces Group (Airborne), and was deployed in support of Operation Enduring Freedom Afghanistan. This was Viola’s first deployment during his military career. Viola joined the Army National Guard in June 2009 as an engineer sergeant and was assigned to 1st Battalion, 19th Special Forces Group (Airborne), from June 2009 to April 2010. He began his Special Forces training in April 2010 at Ft. Bragg, N.C. He graduated from Special Forces Qualification Course in June 2011, and was assigned to 1st Bn., 19th SFG (A), Camp Williams, Utah. In March 2013 Viola was assigned to 3rd Bn., 7th SFG (A), Eglin Air force Base, Fla. He was deployed to Afghanistan with that unit when he was killed. His military education includes the Basic Airborne Course, Combat Lifesaver Course, the Warrior Leader Course, Survival, Evasion, Resistance and Escape Course, the Special Forces Qualification Course, the Advanced Leader Course and the Combat Diver Qualification Course. Viola’s awards and decorations include the Army Achievement Medal, the National Defense Service Medal, the Army Good Conduct Medal, the Afghanistan Campaign Medal, the Global War on Terrorism Service Medal, two Noncommissioned Officer Development Ribbons, the Army Service Ribbon, the NATO Medal, the Parachutist Badge, the Combat Infantryman Badge, the Special Operations Dive Badge, and the Special Forces Tab.